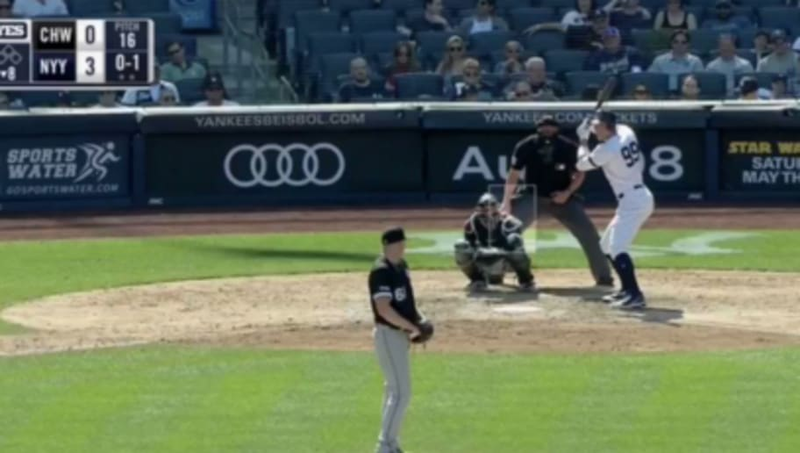 ​The early part of the season has been filled with heartbreak for Yankees fans, but leave it to Aaron Judge to bring a smile to their faces. With New York up 3-0 against the White Sox on Saturday, the Judge himself made things 4-0 with this lovely swing of the lumber. Yup, that will get the fans off their seats. Despite the roller coaster ride of emotions for the NY faithful, CC Sabathia returned to the hill today and looked dominant. Now, you've got Judge hitting dingers too? While it hasn't been the start most were hoping for, perhaps today is a sign of good things to come. This team needed to wake up and it looks like they've done so against Chicago.